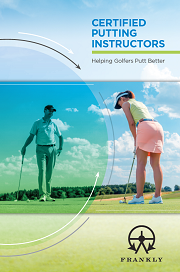 The Certified Putting Instructor Course was developed by Frankly Golf & Academies as a joint venture with the PGA of Great Britain and Ireland, and now PGA’s worldwide and the LPGA have adopted this course. Frank invented the graphite shaft in 1969 and was Technical Director of the USGA from 1974-2000. He directed the Research and Test Center assembling a team of researchers and establishing testing procedures to monitor the performance of equipment used in the game of golf worldwide, writing and re-writing the rules that govern equipment in conjunction with the R&A. He redesigned and introduced the Stimpmeter and also directed the development of the GHIN handicap system. He served as Chief Technical Advisor for Golf Digest and The Golf Channel. You can see him on The Golf Channel as a judge on Wilson Golf’s innovative show Driver vs Driver. Valerie is the Managing Director of Frankly Golf. She holds a Bachelor’s Degree in Psychology from the University of Stirling and a Master’s in Medical Science from the University of Glasgow. A former editor of Golf Science International (a publication of the World Scientific Congress of Golf), she has represented her native Scotland in international golf matches and continues to compete in top level amateur events. She created, wrote and hosted a series of Putting Tips broadcast on Golfing World, aired on 67 TV platforms in 50 countries and has co-authored 3 golf books. For ten years she managed Frankly Academies state of the art putting studios at leading resorts in Orlando, Florida. 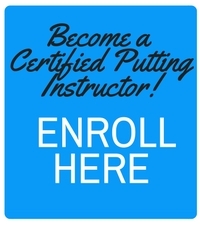 The CPI Course is a holistic approach to teaching putting and as a result, we needed to assemble a team of experts in various disciplines to help us support the ongoing development of the course. As a result, we created an Advisory Board of leading experts to assist and deliver their knowledge when needed.